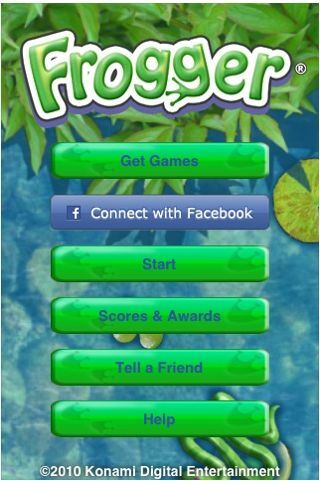 Home » iPhone Tips » iPhone Games » Frogger Game for the iPod Touch! It’s funny that some of our favorite games are still those that we played as a kid. That’s certainly true for Frogger and this classic arcade game is now available for the iPod Touch. Just like when you were growing up, you need to get your little Frogger across a highway, and then across a river via floating logs. The whole entire experience is just like the classic game, and you’ll find that Frogger game for the iPod Touch is more addictive than ever before! One of the greatest things about this classic iphone arcade game for the iPod is that it’s the perfect combination of old and new. While you’ll be taken back to the time that you were first trying to make it onto your lilly pad and beat those levels, you’ll do it all while surrounded by modern graphics that are very cool and of course, all the touch screen features. This means that as your Frogger moves across the screen, he’ll be doing so at the touch of your fingertip. This version definitely takes the classic Frogger iPhone game and kicks it up a notch! Unfortunately, Frogger game for the iPod Touch is not a free download. And when they first released the game in August 2008, the Apple App store was selling the classic arcade game for $9.99. Almost immediately, the game received negative reviews due to what customers deemed too high of a price. Shortly after, in October, Apple reduced the price of the app to $0.99. Users now seem to be appeased, since there really was nothing wrong with the app that earned such poor reviews. Frogger is a ipod touch game that we all know and love. Buy it from the App Store and start getting hooked on getting Frogger safely to shore all over again! Buy this Frogger App for iphone and ipod touch here!